As a web designer or web developer, you’ve probably heard of Git before, a version control system that has had a swift ascension to ubiquity due in part to GitHub, a social code repository site. If you’d like to learn how to use Git, check out my top 10 favorite Git tutorials for beginners. 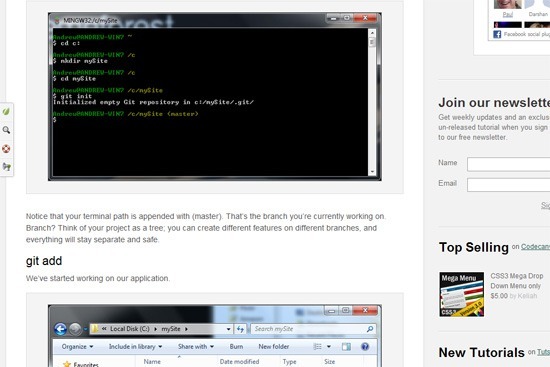 Git can be used for any type of industry from restaurants to colleges, so it is an important part of web design. At the end, you’ll also see a list of other educational Git resources. Most Gits are free so they will be in your clients design budget! 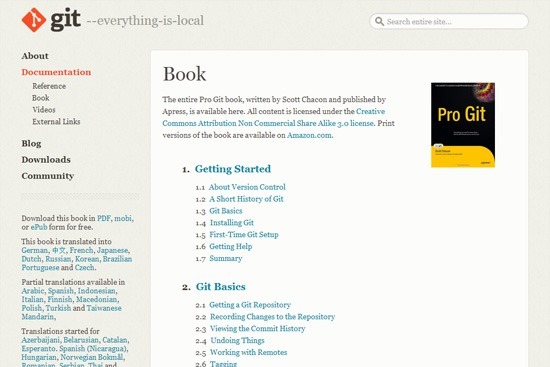 Pro Git is a free online book by Scott Chacon, a developer working on GitHub. The book’s excellent structure and range of topics allow you to skip to the chapters that are pertinent to your level of Git knowledge. Whether you’re a complete beginner or a seasoned pro, there’s something in this book for you. This Git tutorial walks you through Git basics using a step-by-step, hands-on approach. It’s a great tutorial for those who prefer to get into Git right away. 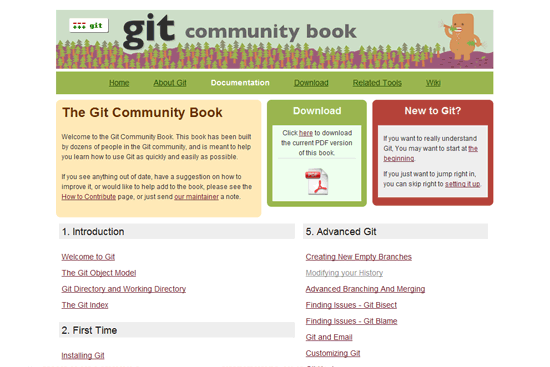 This Git resource hosted on the official Git project site is a free web-based book written by the Git community. It’s divided into 7 parts that include an introduction to Git, basic usage, working with Git, etc. This Git tutorial in PDF format familiarizes the reader with Git through a conceptual approach. You’ll gain the most benefit from this tutorial by reading it in a linear fashion. Editor’s note: This tutorial no longer exists and the link has been removed. This Git tutorial for beginners assumes you already have Git installed and are ready to go. This is a great tutorial to go through if you just want to get a quick overview of how Git works functionally. 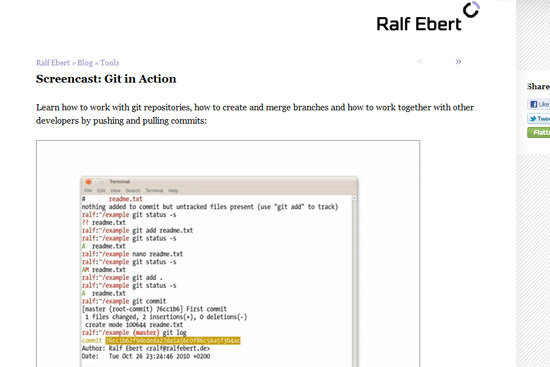 This excellent Git tutorial on Nettuts+ gives you enough information to get started. What’s great about this tutorial is that it also has a section on using GitHub. This screencast will show you how Git works by example; it’s only a little less than 18 minutes long, so it’s definitely worth a watch since web design is so important. This Git tutorial on Webdesigner Depot is geared towards web designers. As such, it outlines the benefits of version control in the context of creating websites and assumes the reader prefers a GUI for working with Git instead of the traditional command-line interface. 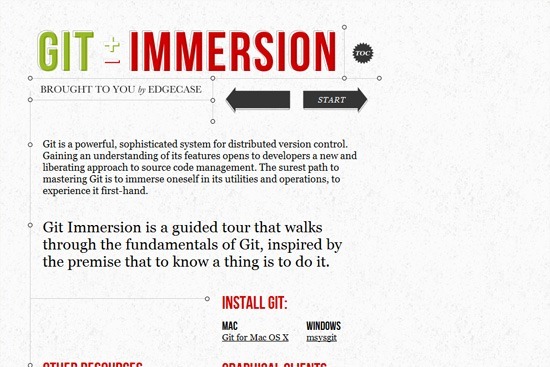 This Git resource is great for visual learners. 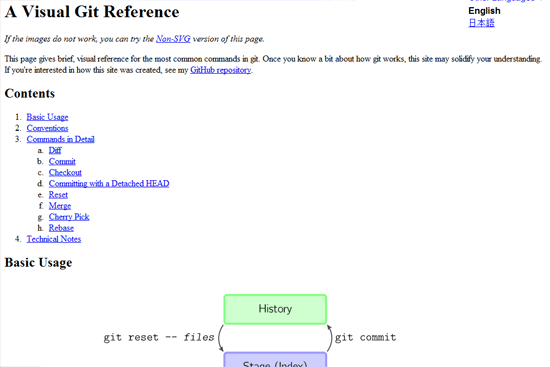 It illustrates common Git commands so that you can understand what’s happening conceptually. 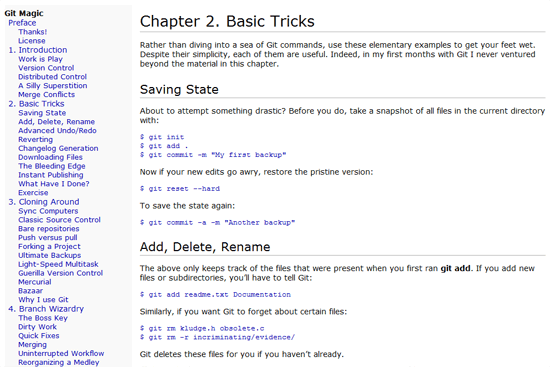 There isn’t any shortage of great tutorials and online resources for getting started with Git. Below is a list of other Git resources for beginners. If you know of a good Git tutorial that isn’t listed here, please share it with us in the comments below. Git Tutorial: How to Version Projects with Git: This is a beginner-level Git tutorial that includes installation instructions. 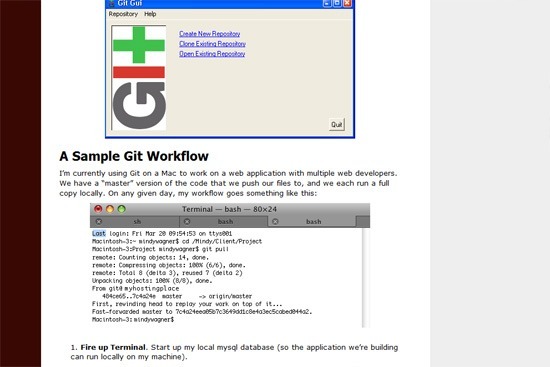 Introduction To Git: Check out this screencast on GitHub that introduces basic Git concepts. How to Install Git: This is a Stack Exchange answer that covers how to install Git on Windows, Mac OS X and Linux. Git The Basics Tutorial: A two-part recorded video of Bart Trojanowski talking about Git basics (available as a PDF). Everyday GIT With 20 Commands Or So: Here, you can learn Git basics through the most common commands (with examples of how to use the commands in real-world scenarios). Starting with Git: Cheat Sheet: A quick introduction to Git that discusses fundamental activities such as committing to the repository and adding files for version tracking. Getting Started with Git: This 6-page cheat-sheet-style Git tutorial from technology publishing company Dzone is available as a PDF that you can print. 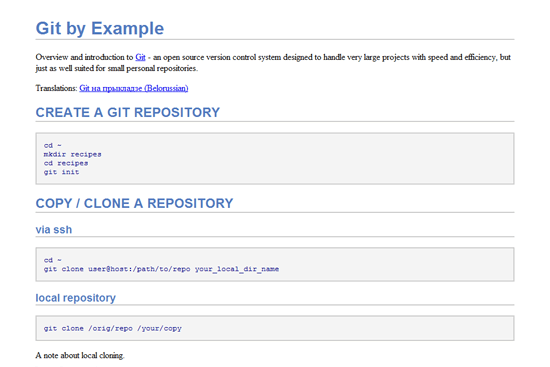 gittutorial Manual Page: This Git tutorial is an official man page in the Git package. Git for the lazy: This guide will get you up and running on Git as quickly as possible. git ready: This resource collects quick Git tips categorized by level of difficulty (beginner, intermediate and advanced). Git_Guide: This FAQ-style Git guide covers the most popular topics for beginners. Introductory Guide to Git Version Control System: This guide here on Six Revisions is a quick-start resource for familiarizing yourself with Git. Playing Git Like A Violin: Learn how to create Git command aliases (shortcuts) to speed up your version control workflow through this online resource. An Illustrated Guide to Git on Windows: A wonderful tutorial on installing and using Git on Windows (using mysysgit, a GUI for Git). Getting Started with Git and GitHub on Windows: A guide for Windows users covering how to use Git with the popular social coding site GitHub. Aha! Moments When Learning Git: Kalid Azad shares some insights and lessons about his first experiences with Git. Version Control for Designers: This Git guide discusses the principles and concepts behind version control systems. A Tour of Git: The Basics: A walkthrough of Git to get you started through a hands-on approach. Getting the Hang of GitHub: If you’re interested in Git, chances are, it’s because of GitHub. Learn how to get up and running using GitHub through this guide. Understanding Git Conceptually: This Git tutorial focuses on the fundamentals of how Git works. 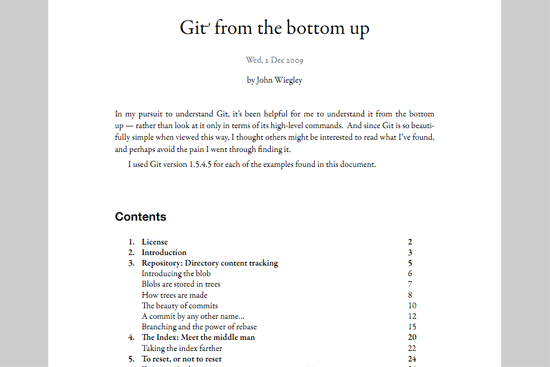 Git: Your New Best Friend: This introductory guide on SitePoint introduces the reader to version control and Git. Linus Torvalds on Git: View this Google Talk video of Linus Torvalds talking about Git. Post updated [February 21, 2014]: One of our readers emailed me saying that the “Pro Git” book (#1 in this list) has moved. He provided an updated link. We have updated the link and the screenshot.